Is your book good enough to publish? Does it contain embarrassing errors you overlooked? Will your launch be ignored, or will you have people leaving positive reviews from the start? You can resolve all these questions if you develop a group of beta readers to give you feedback before you publish your book. These are people you have a relationship with and share a desire to produce better Christian books. The relationship may vary — they may be friends or relatives, but most will be like-minded Christian writers that you meet in writer groups or online. Back in the day, publishing companies produced what were called, “Advance Reading Copies,” or ARCs. They went out to reviewers at major publications, and also to librarians, booksellers and opinion makers to get feedback. ARC readers responded with ideas to make the book better, noted misstatements of fact, pointed out typos and offered other suggestions. Some offered positive comments, and publishers included them as promotional endorsements to help spark sales of the published book. The publisher collected all this information and used it to finalize editing and to create a marketing campaign. It was not uncommon for the book to be published six or more months after the ARC had been distributed and feedback received. This was a very efficient way to release a book. An ARC was never intended to be identical to the book that was released. They were more like galleys (proofs) in many cases, and contained notes, preliminary illustrations and often had typos. They may have been plastic-bound rather than perfect (paperback) or hardcover binding. ARCs still exist, but this process has been short-circuited in the digital publishing age. Most people write a book, edit it, and release it in a short period of time. No time is allocated for feedback. Authors miss helpful input on their content and they miss getting endorsements. 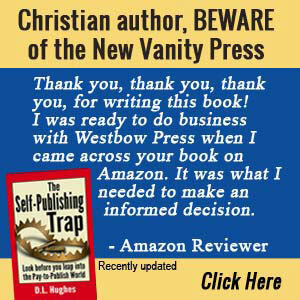 Authors rely on reviews, rather than endorsements by recognized authorities, and that does not enhance book sales. If you gather beta reader viewpoints, you can get all of the benefits of the old ARC process and still launch your book quickly. When you get beta readers in advance, you can speed the process and produce a better book on a shorter schedule. Your book must be complete in your own eyes. You have said everything you wanted to say in the way you intended to say it. This beta draft of your book does not need to be perfect, but it does need to represent your idea of what the final book will be. Your book has a title, copyright page, table of contents and all chapter titles and headings are in place. Do your best self-edit. Your book will likely undergo some revision after you hear back from beta readers, so this edit is not a comprehensive one. Hold a mental reservation that your book is not complete until you evaluate the feedback you receive from your beta readers. How should you deliver your book to beta readers? Ideally, in Microsoft Word format so your beta readers can make notes and make minor correction using the Review menu functions. This can be efficient if you have just a few select beta readers. It can be unwieldy if you have too many of them. Some authors are reluctant to send a Word file because of literary property theft issues, so they elect to send them in PDF format instead. Page numbers should be in place in this case so beta readers can reference their remarks by them on a separate page. Regardless of how you send your book to beta readers, it’s always a good idea to put a notice throughout the book, usually in the footer, that says: “This is an unedited beta reading copy of [Tile of your Book] by [Your name]. Do not distribute.” That reminds readers it is a draft for review, not your final book. Tell them that you need their input back on a specific date. Give them two or three weeks to read it, and don’t be afraid to send them reminder emails. You have a shared informal contract with people in your group to beta read each other’s books, and a beta team member is no help if he or she doesn’t meet the reasonable deadline you set. You will get all kinds of feedback from your beta readers. Some of it will be useful and some of it will not be helpful at all. The least helpful feedback you get is from relatives or close friends who agree to be a beta reader. For example, your mom will always say, “It was wonderful honey, keep up the good work.” It’s nice to depend on mom for a good word, but such general praise is not helpful. You need specific input to improve your book. Prima donna beta readers are also a problem. They tend to gasp when they see errors and respond in a condescending way. They think they are reviewing a finished book, I suppose, rather than understanding the task of a beta reader is to help improve books that may be flawed in different ways. Specific help comes in two ways from beta readers. If you have written a novel, you want your beta readers to tell you if they saw holes in your plot. You want them to tell you if characters were not properly developed. You want them to tell you if the novel moves too slow or too fast in specific places. You want to know what they think about your ending. When it comes to nonfiction, you want input about how you presented the material. Did you cover the topic with sufficient detail? Was it clear? Was it interesting? Listen to what your beta readers have to say about making your content more accessible to a wider range of readers. Ideally, your beta readers will give you specific notes for each chapter. You want to receive them in writing. Verbal comments are usually too off-the-cuff to be helpful. The second specific way that a beta reader can help you is by catching grammar inconsistencies or mistakes. Even though you edited the book before you sent it to your beta readers, they will undoubtedly find errors. You want to make corrections based on their input. Don’t expect beta readers to edit your book for you, but be open to the editing suggestions they offer. 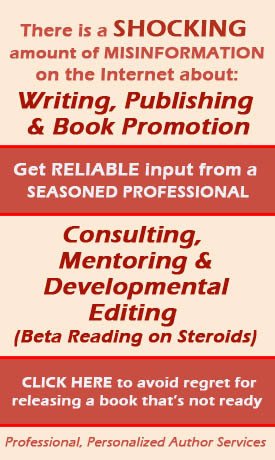 If you use a professional editor, as you should, he or she should get your book after your beta readers have made their suggestions. Your beta readers will offer all sorts of advice. They are not paid expert editors, so your only obligation to them is to weigh their comments and decide for yourself which of their thoughts you will adopt. Some Christian people can be judgmental, but you should never take what they say in a personal way. They probably have good intentions even though they don’t have the skills to communicate in a positive way. Don’t debate with your beta readers. You don’t need to explain or justify what you have written. When you attempt to defend yourself, you defeat the purpose of getting the unvarnished perspectives of other people. Don’t let a single beta reader dominate you. Ideally, you want to review the notes of all your beta readers, then make changes when two or more agree that a particular element needs attention. Don’t be discouraged by feedback you perceive as being negative. Think of it as a stepping-stone to a better book. You want objective beta readers to help you produce a better book. That means you need both a teachable spirit (Proverbs 4:7–9) and humility (James 4:10) to receive their comments. This presupposes that you are aware of the limitations of your own knowledge and abilities. You are seeking insight about your writing from beta readers, not accolades from them. Are you thinking about a new book? Are you halfway through writing one? This is the perfect time to start organizing your beta readers. Don’t wait until the last minute. It’s best to build a relationship with people, and perhaps beta read their book before they have an opportunity to read yours. Even though you may never meet individuals in your beta reading group in person, you want to develop a collegial relationship with them. You can even become prayer partners. Make a list of the people you already know who will help you produce a better book. As you browse through Facebook and other sites, note the names of people who share your writing vision. You might read a book by someone who offers valuable insights, and you may add them to your list. Gather a list of about 24 people, and then contact them individually to see if they want to be part of your beta reading group. Generally, you can expect about half of them to accept. You are looking for is a list of 12 beta readers. You will probably get only half of them to actually read your book, make helpful notes for you, and then review it when you release the book for publication. Six beta readers who offer you detailed notes is enough for you to write a better book and to launch it with first day reviews. Thanks so much for this info, I was roughly familiar with the term ‘beta’. I’ve got a few people reading my ‘summary’ for back cover, and am writing my Intro now, to set down some objectives in the book. Am getting some feedback on those so I get an idea of how they think the general reader may interpret what my book is about.